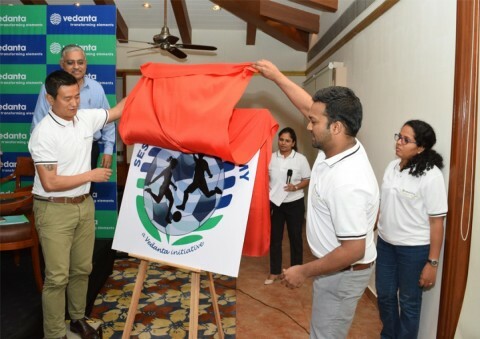 Vedanta Group announced a strategic roadmap for the Sesa Football Academy in the presence of President Annanya Agarwal, CEO Sukhvinder Singh, former India Internationals Baichung Bhutia, Bramhanand Sankhwalka and Bruno Coutinho at Kulagar, Marriotts earlier today. The senior academy at Sirsaim was closed down back in 2014 following a mining ban in the state. However, the managementhave come up with a bigger project this time as the academy is re-launched nationwide. The academy runs on a residential basis and imparts systematic and scientific training and lays emphasis to develop potential and grooms youngsters to become full-fledged professional players. SFA takes care of the formal education of the trainees during the four-year training period. The academy presently has an intake capacity of 36 boys being trained at its Sankhalim premises. The group now further aims at beefing up the infrastructure facilities at its Sirsaim academy and match it to global standards to make it accessible for a country / global reach. The skill development model that the company has adopted is to scout young talent and hone them in the sport and equip them with certain sports-related skills that could help carve professionalism. 22 boys in the age group of 14–17 have been selected from Rajasthan, Punjab, Kerala, Manipur, Sikkim, Karnataka, Maharashtra, Telangana and Zambia (where the group has its operations). The Academy is also planning to start with the women coaching program at the school level at this moment which can curve into their own women football academy in the future. “Sport is the medium that can inspire and engage youth in an indescribable way. It is a language that can help skill latent talent which has not been realised and that is what we aim to do through this initiative. Sesa Community Development Foundation (SCDF) has immensely contributed through various CSR initiatives to the local communities. One of our key objectives, therefore, has been around nurturing football talent through the SFA and give to the nation our heroes in sport. I believe we have displayed this commitment by bringing on the best management team in the country, including Sukhvinder Singh and Bhaichung Bhutia. Women’s football is a large part of this initiative as there is not enough infrastructure for women in football and SFA will strive to bridge this gap.” Agarwal said. 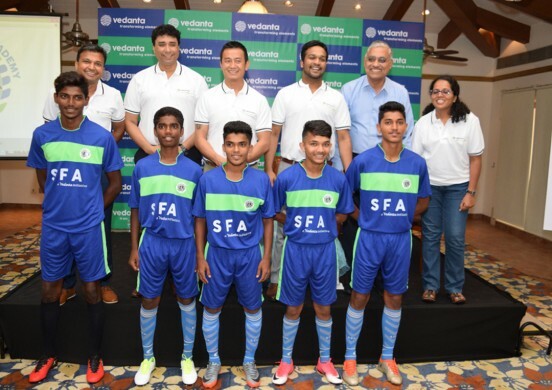 Vedanta – Sesa Goa Iron Ore as part of its commitment to serve the community established Sesa Football Academy (SFA) in the year 1999, with the prime objective of nurturing young football talent from Goa. 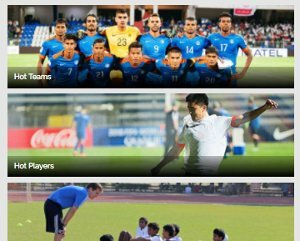 SFA is built on the reclaimed mine at Sankhalim-Goa and is run on a residential basis and imparts systematic and scientific training and lays emphasis to develop the potential and grooms the youngsters to become full-fledged professional players. SFA takes care of the formal education of the trainees during the four-year training period. Within a span of 17 years, SFA has made a tremendous impact on the football fraternity in Goa and across the nation. Young football enthusiasts aspiring to become professionals show keen interest to join the academy. From the inception of SFA around 123 trainees benefitted from the Academy. The Academy has produced the players like Mickey Fernandes Adil Khan, Rowilson Rodrigues, Augustin Fernandes, Godwin Franco and Denzil Franco who has already represented the national team. “Sesa Football Academy has made an immense contribution to football in Goa and now we at Vedanta are taking the efforts to another level. The aim is to further develop the academy set up and intensifies our efforts on youth development specifically for Goa at Sankhalim and the nation at the Sirsaim academy. We shall create community outreach through the Vedanta Football Schools that shall take the technical capabilities to the players and coaches of our communities around us.” The CEO, Singh explained. “It is lovely to be back in Goa. It brings back many memories of my childhood. The SFA has been doing a lot of good work in football by grooming players. It is good to see the revival with good coaches the academy has. I am sure the academy will produce good football talent. The time is apt as the nation now sees a great amount of interest generated around this sport.” The former Indian football skipper said. 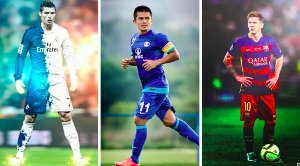 ISL 2017 set to have more teams!